You want it? You get it. No two companies are the same and neither should their office spaces be the same. Your space is an investment that reinforces your brand, and helps your company attract and retain talent. Need help figuring out what that looks like here? Our architects will work with you to figure it out at no cost to you (unless it's at midnight, then it'll cost you pizza). We offer total flexibility to you. Use the designer you want, the contractors you want, or if you like we can handle all of it for you. After all this is your space, you should get what you want. Need a big space, small space, or something inbetween space? We have all the sizes... literally. 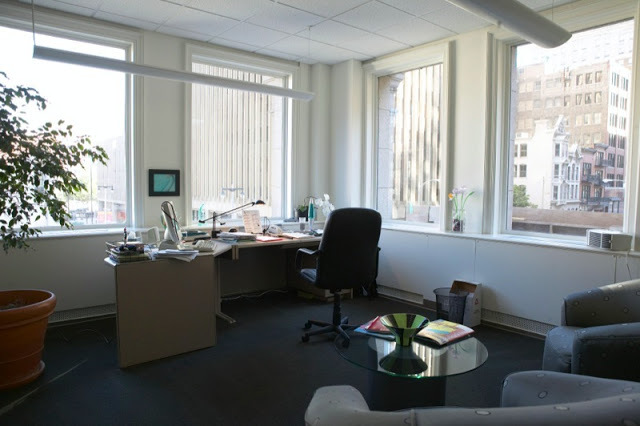 From one person (tired of working at home) spaces to multiple-floor, contiguous (we all want a corner office) spaces. We also understand the need to be flexible and can provide lease options that help your space grow with you when your company grows. You should only have to rent the space you actually need. 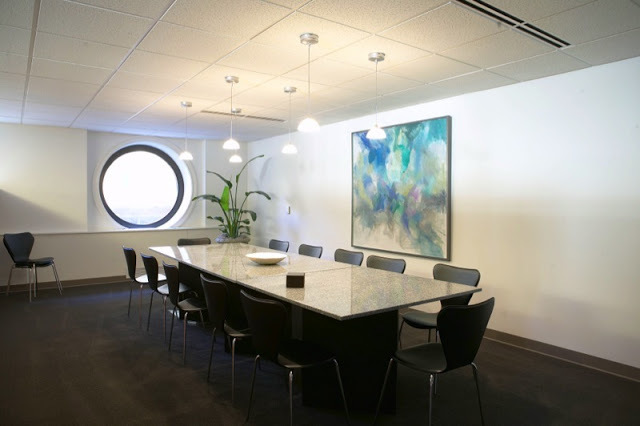 If you only need a conference room that seats 10 once a month, why rent it the rest of the time? We don't charge for access to our 6 person conference room, our 14 person board room, or our 50 person training room and we have plenty of storage space in the lower level. There is also intentionally furnished outdoor meeting space and don't forget our our pontoon boat mtg room Conference Room #3. This is meant to be easy. If it isn't easy to work with a building before you are a customer, what do you think it will be like to work with that building once you are locked in as their customer? Of course we think we are special - everyone does. This is your chance to test us out. If you like what you see, and think the CityCenter might be right for you and your business, give us a call, send us an email, stop in announced, or heck - even unannounced. See how we do. We also know that moving can be a distraction from your business, so we coordinate it for you. Once we find a spot in the building you like, we will help you lay out your space and even assist with design choices if you want. Then we will build the space to your specifications, keeping you informed of our progress every step of the way to finishing on time and on budget. We also know that moving can be a distraction. Our team can help you coordinate a moving company, and will help schedule access for your IT and furniture vendors. If you need help finding IT and furniture resources, our team can help with that too. Once we get you moved in, our team provides an in person orientation for all employees on all that the CityCenter has to offer, and regularly stays in touch with them via newsletters, blogs, emails, and events.